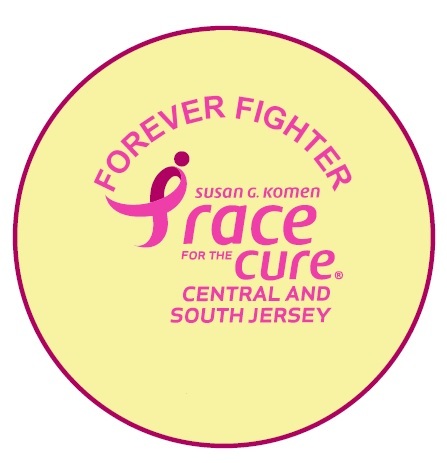 You’ll find an incredible community of survivors, forever fighters and co-survivors at the Susan G. Komen Central and South Jersey Race for the Cure®. Survivors, forever fighters and co-survivors gather to celebrate and support one another in an atmosphere of genuine camaraderie. It is their inspiring spirit that energizes us to continue the fight to end breast cancer forever. Special pink “In Honor Of” and "In Memory Of" back signs will be available at Individual/Team packet pick up and in the Survivor tent for friends and family to wear on Race Day to show their support of you! A Forever Fighter is someone battling stage IV or metastatic breast cancer that has spread to their bones, liver, lungs and/or brain. Currently there is no cure for metastatic breast cancer. Men and women with this diagnosis are in a battle for the rest of their life. Some people with metastatic breast cancer do not identify with the term “Survivor” since their battle is ongoing. Forever Fighter is a term used to honor those in the fight against stage IV, metastatic breast cancer. Anyone who self-identifies as stage IV or metastatic, has the opportunity to wear gold beads on Race day, as well as wear a special Forever Fighter button (pictured left). Both items will be located in the Survivor Tent on Race day. To learn more about metastatic breast cancer, click here. Interested in sharing you Survivor Story or Race photos? Please feel free to contact race@komencsnj.org.